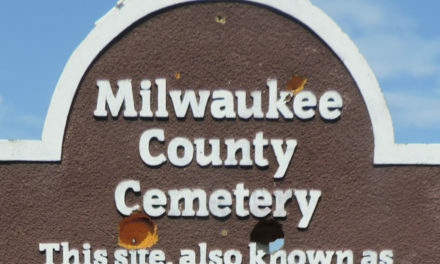 Few who enter the Muellner building at Wauwatosa’s Hart Park realize that a subterranean culture exists beneath them. Like a fantasy novel set underground, this community has its own esoteric language and traditions. For its frost-footed inhabitants, there is nothing quite like sharing stories while broomstacking following a bonspiel. Who are they? Wauwatosa curlers. More about this secret special place later. Let’s start with the place the curlers spend the majority of their time – above ground on the ice. On a mild Saturday in early October several members of the all-volunteer Wauwatosa Curling Club were spending their time indoors building the ice. 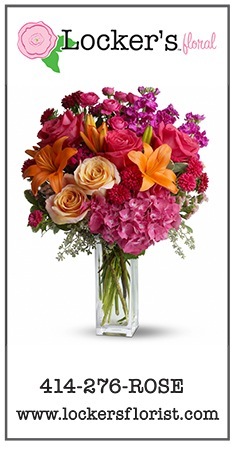 It is a process that would take them 14-20 days in order to create a one-and-a-half-inch thick layer. They were readying themselves for the 2018 season, and their diligence with preparing the ice demonstrated their devotion to a sport gaining in popularity, but still relatively unknown to many. It was on this day that I sat down with Dawn Majewski, president of the Wauwatosa Curling Club and Allen Miller, club member, volunteer and curling enthusiast, to learn what curling was all about. 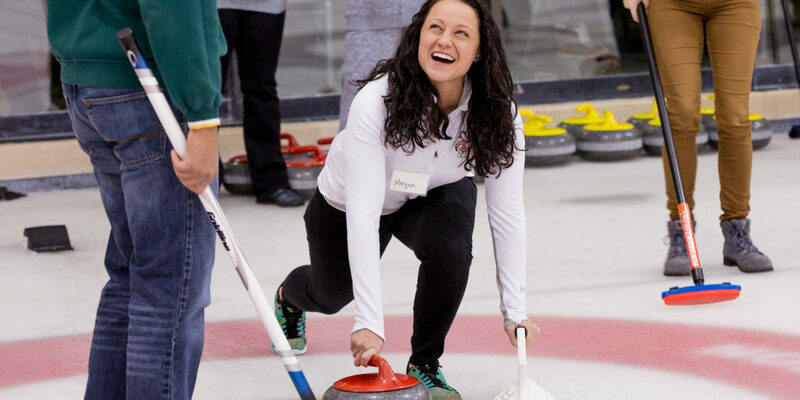 Though Majewski and Miller offered that skills such as balance, spatial thinking and understanding proper position help, they mostly believe that curling is a game that anyone can pick up and enjoy. Playing in two teams of four, the game requires pushing or “throwing” a 42-pound stone down the ice aiming for a bull’s eye at the end. The goal is to come closer to the bull’s eye than your opponent, earning your team a point. Members of the Wauwatosa Curling Club can compete in league play and participate in special events. 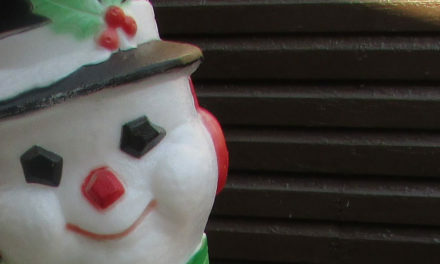 This year the events include a crotty stickspiel, a chili spiel, and a krautspiel. So what is a spiel? A bonspiel is a tournament, and has many variations, often indicating what participants might eat or drink following the play. Though the word has German origins, the sport itself is believed to have originated in Scotland. When the ancestors of people such as club member Greg Dunlop migrated to the United States from Scotland, they brought what many call “the other Scottish sport” with them. 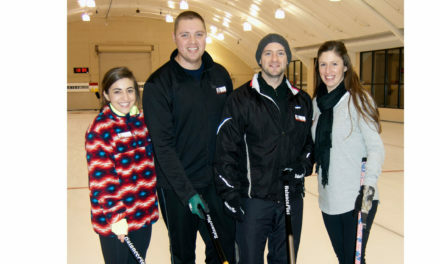 Dunlop is one of seven generations who have belonged to either the Tosa Curling Club or its precursor, the Milwaukee Curling Club. When Dunlop’s great-great grandfather emigrated from Scotland in 1841, he brought his curling stone with him and joined the Milwaukee Curling Club. “There were a large number of Scots in the Milwaukee area,” Dunlop said. “As the population moved west, so did curling.” Dunlop’s grandfather was one of the original founders of the Tosa Curling Club, an offshoot of the Milwaukee club. In 1925, the club moved to the area now known as Hart Park, but it wasn’t until 1941 that the Muellner Building was erected. A city park board member had taken an interest in the club and advocated for a municipal recreation building. The building was paid for by the city, the curling club, and the Work Progress Administration (WPA). The WPA also provided the labor. 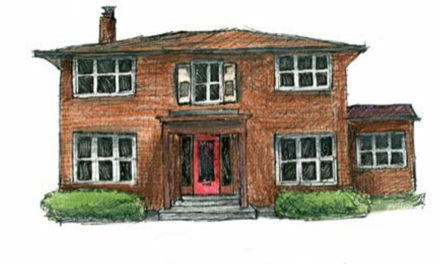 Years later, in 1998, the Muellner Building was badly damaged from a flood. Everything in the club area was destroyed. With the help of federal money, volunteers from the curling club volunteered their labor to rebuild. “It was a Herculean effort,” Miller said. People try curling for a number of reasons. For some, like Dunlop, it is a family tradition. Dunlop’s son is a two-time U.S. curling champion and came in second on the Olympics trials twice. His ten-year-old twin grandsons are now curling. Others watched the U.S. men’s team bring home Olympic gold in 2018 and decided to give it a crack. Still others want to try something different. If there is one thing that Majewski, Allen and Dunlop see as the overarching theme that keeps these newcomers coming back for more, it is the culture of the sport. Inclusive, social, and courteous, curlers are people who enjoy the company as well as the competition. “You shake hands before you play, and you shake hands after you play,” Dunlop said. “And it is the duty of the lead (the team member who plays the first two stones) to bring the bottle of Scotch,” he added jokingly. It is the off-the ice fun that brings us back to the underground curling clubhouse. Called broomstacking, members and their opponents head to the wheelchair accessible clubroom, complete with lockers, full kitchen, long bar and tables with numbers corresponding to the sheet of ice being played upon. Teams sit down with their opponents, discuss the match and enjoy a hot meal or snacks and libations. 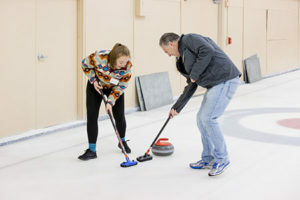 In 2005, after a friend invited Miller to watch his daughter’s competition, Miller became a Tosa Curling Club “associate member.” Miller explained: “I received all of the perks of membership without the curling.” Following a pause, he chuckled. 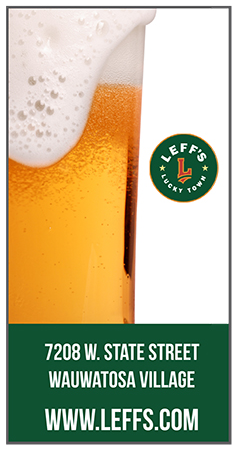 “We both like drinking beer.” The two men would scrape the ice, sweep it, and pebble it. They would then watch the competition from the viewing room before heading downstairs for the broomstacking. Within two years, Miller started curling and became a full-fledged member. In addition to the camaraderie, a volunteer spirit is prevalent within the club. Everyone gives back in some way whether it is building the ice, staffing the bar or kitchen, baking brownies for an event or assisting with a clinic for the veterans or adaptive curlers. Much of the volunteering is through outreach, explained Majewski, a purchasing manager for Marcus Theaters. “Our main mission is to educate,” she said. This outreach takes form in various ways between October and late March when the curling season ends. 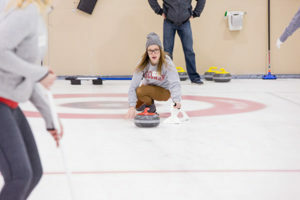 “Try Curling” events take place bimonthly. Nonmembers are invited to participate by first, receiving some instruction, and then forming teams and playing a game. Adaptive curling classes are also offered bimonthly. These events offer individuals of all ages and abilities a chance to learn the sport. Several years ago the Veterans Association asked Tosa Curling Club to give a demonstration for Milwaukee veterans. Many of the veterans were hooked. Miller was, too. A Vietnam veteran himself and a retired purchasing manager for an electronics manufacturer, Miller has found his niche within the curling club, working with veterans groups and assisting in adaptive curling. “The volunteers get back as much or more than they give,” Miller said. An adaptive curling clinic was one of the early events of the 2018-19 season that took place in late October in conjunction with the Wisconsin Adaptive Sports Association (WASA). The clinic was an opportunity for newcomers to try out the sport, and they couldn’t have had better teachers. In addition to Tosa curling volunteers including Miller (wearing a tee shirt reading “Eat Local, Curl Tosa” and a blue knit cap covered with curling-related pins ), four members of the US Paralympic curling team volunteered to help run the clinic. They included Rusty Schieber, Wisconsin resident and National Coach of the team, and Penny Greeley, a three-time Paralympian in two sports including a bronze medal winner in sitting volleyball. Participants at the clinic included those with visual impairments, single leg amputees with walking ability and individuals with spinal cord injuries who used wheelchairs for mobility. It also included two siblings, Brooklyn and RJ Johns, ages 11 and 12 respectively. Brooklyn, who suffers from spina bifida, and RJ, who has a blood platelet defect, were eager to give curling a try after watching videos on YouTube. Brooklyn, RJ, and other participants used a stick that slides onto the stone’s handle, enabling curlers to stand or sit in a wheelchair rather than beginning from a crouched position. In addition, adaptive curling does not include sweeping. Otherwise, it is identical to original curling. While venues like the ice rink at the Muellner building are training grounds for Olympians and paralympians, it is the Olympics and Paralympics that help to keep the clubs thriving. Majewski said that registrations typically boom every four years following the big show. In 2018 over 50 new members joined the Tosa Curling Club. It now boasts 320 members. Coming up on their centennial, the Tosa curlers, with their bonspiels and underground broomstacking, are going strong. 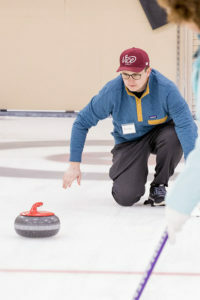 If interested in learning more about the Tosa Curling Club, or if you would like to attend a Try Curling or Adaptive Curling event, visit https://wauwatosacurlingclub.com/index.php.